LOS ANGELES (AP) — Katherine MacGregor, who played petty, gossiping mother Harriet Oleson on TV's "Little House on the Prairie," has died, a representative said Wednesday. She was 93. MURPHYSBORO, Ill. (AP) — Could southern Illinois be the final frontier for bitcoin miners? Actor William Shatner thinks so, and is recruiting new tenants at solar-powered mining facility in the area. PROVIDENCE, R.I. (AP) — William Shatner has boldly gone where he has never gone before: the graduation ceremony at the New England Institute of Technology. The 87-year-old actor best known for his portrayal of Capt. James T. Kirk on the original "Star Trek" TV series delivered the commencement address at the school in East Greenwich, Rhode Island, on Sunday and received an honorary Doctor of Humane letters from the college. TICONDEROGA, N.Y. (AP) — It's like William Shatner got stuck in a Star Trek time warp. The 87-year-old actor visited a doppelganger of the original Starship Enterprise set in upstate New York for a fans' weekend on Friday. He wore a dark jacket this time instead of his gold Capt. James T. Kirk shirt, but the command chair was still comfortable and the blinking lights of the bridge were just as he remembered them. EAST GREENWICH, R.I. (AP) — Capt. Kirk is beaming down to a Rhode Island college this spring to deliver the commencement address. 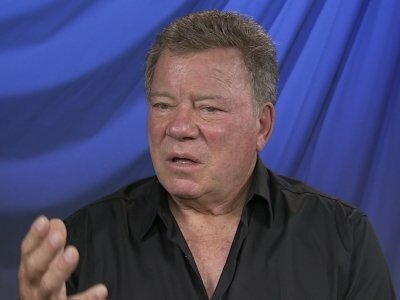 The New England Institute of Technology announced Monday that actor William Shatner, best known for his portrayal of Capt. James T. Kirk on the original "Star Trek" television series, will address students at the East Greenwich school's graduation ceremonies on May 6. Twenty-five wonderful years. In March, I'll commence my 26th year. Lamest pickup line you've heard at the bar? "Baby, I know you're an angel. Now, tell me, where are you hiding your wings?" Most famous person you've ever served a drink to? There have been several. But I guess it's a toss-up between William Shatner and Dwayne "The Rock" Johnson. COLUMBUS — Jon MacArthur has a secret wish. He knows it probably isn’t possible, but there is nothing wrong with dreaming. “My long-term secret drive is to build a warp drive,” he said. It’s like what is seen on "Star Trek" when the USS Enterprise needs to go faster than the speed of light. “It’s not technically possible, but I have that on the back burner,” MacArthur said with a laugh. To boldly go where five TV series, 13 big-budget films and one underrated cartoon have not gone before. 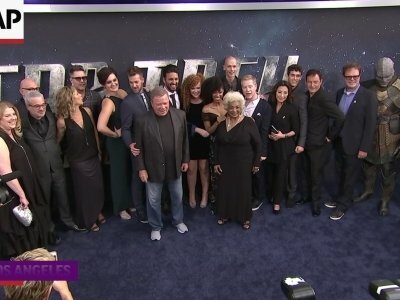 Fifty-one years and 16 days after the original series starring William Shatner and Boston native Leonard Nimoy premiered on NBC, CBS presents a prequel series that it hopes will be groundbreaking enough to inspire millions to sign up for its streaming service CBS All Access ($59.99 annually, $99.99 a year without commercials). 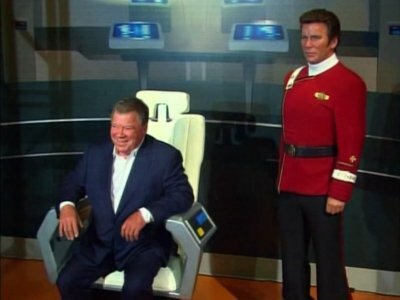 LOS ANGELES (AP) — As "Star Trek II: The Wrath of Khan" marks its 35th anniversary with a return to theaters for special screenings next week, star William Shatner is celebrating more than his long history as Captain Kirk. I’m at 35,000 feet and as rattled as William Shatner on that “Twilight Zone” episode. It’s not a bogeyman on the wing I’m worried about, but of my son talking his way into the cockpit for an impromptu flying lesson. He’s only 5, so we could be in for a bumpy landing. Smart Rating: 11.45Release year: 2002Starring: Mila Kunis, William Shatner, Geraint Wyn DaviesOriginal: "American Psycho" (2000)Original Smart Rating: 84.96Rachel (Mila Kunis) is a criminology student hoping to land a position as a teacher's assistant for professor Robert Starkman (William Shatner). She's sure this position will pave the way to an FBI career, and she's willing to do anything to obtain it -- including killing her classmates. The school psychiatrist, Dr. Daniels (Geraint Wyn Davies), becomes aware that Rachel is insane, but Rachel is skilled at her dangerous game of death and identity theft. MEMPHIS, Tenn. (AP) — This is a tale of passion, talent, perseverance, foam rubber and William Shatner. Also — and perhaps most important — this is a tale of the Gorn. When I decided to tell this tale, I was not planning to become a Gorn. Really. I had not intended to squirm into a skintight latex lizard suit, don a blinding and suffocating rubber head, and stalk clumsily through the hallways of the Pink Palace. Would Woodward or Bernstein dress up as a Gorn for a story? No. NEW YORK (AP) — William Shatner's bumpy flight. Burgess Meredith's smashed eyeglasses. The fateful misinterpretation of the phrase "to serve man." Even after a half-century, these memes can still deliver a jolt of recognition. But if you're drawing a blank instead, that's OK. The anthology series "Black Mirror" takes you through a high-tech looking glass with jittery tales sure to lodge in your brain for years to come, as it reclaims the hallowed realm of "The Twilight Zone" for a new millennium. Imagine someone similar to actor William Shatner as an FBI deputy director running a space station in the year 2050. That premise jumpstarts "Zero-G," an inconsistent sci-fi novel by Shatner and co-author Jeff Rovin. BOSTON (AP) — Set. Baseball. To. Stun. William Shatner is throwing out the first pitch at Fenway Park. 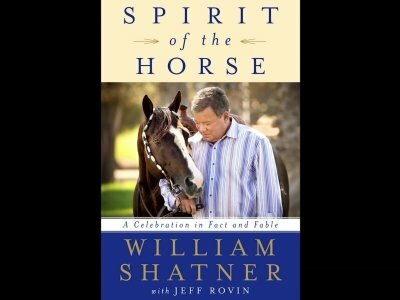 Shatner, reprising his "Star Trek" role as Capt. James Tiberius Kirk, is in town for this weekend's Boston Comic Con. His Friday evening appearance as the Red Sox take on the Arizona Diamondbacks is one of a series of events marking the 50th anniversary of the airing of the first "Star Trek" episode in 1966. Interviewing William Shatner about Star Trek is like interviewing Neil Armstrong about Apollo XI. Chances are someones already asked the question you want to ask. No, thats not quite right. Expect plenty of surprises on the third day of Comic-Con International as both Marvel Studios and Warner Bros. (producer of DC Comics movies) are holding court in Hall H. Neither studio announced what casts would be there, but it is a good bet you'll see the stars of upcoming films "Dr. Strange," "Guardians of the Galaxy Vol. 2," and "Suicide Squad."